Zero Lot Line House - Brampton Real Estate – This is a very specific style of home that is built in various areas in North America (not sure about Europe etc.) that has a very unique feature. That is, one side of the home is either on or just about on top of the property line. 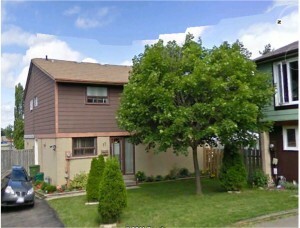 The Brampton real estate scene is not exempt from this style of home, in case you didn’t know. 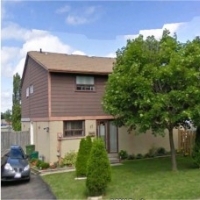 Various areas of Bramalea (all North of Queen) have these zero lot line houses. North of the Bramalea City Centre - This style of home was originally designed to try and maximize the amount of homes that could fit on a certain size area of land. So, if you’re in the area North of the Bramalea City Centre, going up Central Park Drive, you will see what I mean. Hanover, Hilldale and then moving on to the J-section and G-section, is where you will discover hundreds and hundreds of these homes. You will notice them readily as there’s nothing else in all of Brampton that looks quite like these zero lot line houses. The Upside - The biggest upside is the fact that they are amongst the most affordable homes in the Brampton Real Estate Market. They are definitely a stepping-stone home for most families. Having said that, I have some clients who have bought these homes almost 25 years ago and still have no plans of making a move! Some of these homes have tremendous yards because of the unusual configuration of the homes on the land. The other plus is that most of these homes are detached. Now there are semi’s and townhouses too but the majority are definitely detached. I think that’s pretty cool. The Downside – Some folks aren’t crazy about the general appearance of the neighbourhoods and the size of the homes. But I say “Hey you’re not dropping a million, now are we (at least not yet...lol...)?” Personally, I believe they are a fantastic way to enter the First Time Buyer Market, without having to buy a condo or a townhouse. These homes were definitely made economically. The builder, Bramalea Consolidated (later known as Bramalea Limited), tried everything to make these home as economically as they could so they could sell them cheaply, while still making a profit. What that meant was electric baseboard heating, aluminum wiring, generally smaller lots and land leases. Zero Lot Line Land Leases – Well, here’s another fiasco that blind-sided a lot of people. This was a plan the government came up with called HOME OWNERSHIP MADE EASY- The acronym was the H.O.M.E. Plan. The leases were all for 50 years and most were frozen but some were escalating. The frozen leases were great. They ranged from around $47 – $85 per month. Quite manageable, by most people’s standards. Escalating Land Lease - The escalating leases were going up each time the property changed hands. I remember in the nineties, some folks were freaking as there lease rose to over $400 a month. This was an erasing of equity that rivaled the recession. Finally, most people have bought out their leases and own the land now. While all the leases were relatively low, they were great. You could sell your home with the bonus that the buyer doesn’t have to pay land transfer tax. This was great for the first timer. CMHC As Landlord – Originally it was CMHC that held all the leases. Then they got out of the landlord business and offered a 20% reduction in buy-out fees, as an incentive to pay them off. Most folks did. Definitely an interesting chapter in the Brampton Real Estate landscape. There were other areas of Brampton, besides the zero lot line houses, that were on the H.O.M.E. Plan as well. Parts of South Bramalea and the areas around Archdekin, Rutherford, Hansen and Vodden (previously called the Madoc Community) were all land leased. Zero Lot Specialist! - I've sold many, many of these houses throughout the years, and I’ve seen some excellent improvements done on them. Many have furnaces, air conditioning and beautiful landscaping. If you need to sell a zero-lot home, let me know. If you need information on any of these homes or other areas of Brampton, call me (905) 867-9440. I’m always available (and happy) to help!